As mentioned in our last post about how Higher Ed Facebook Pages are posting too much, Joe looked at 335,955 Facebook Posts in 2011 for our research and the following slides share some nuggets from the data. This data is the most comprehensive and accurate research available for Facebook Pages in Higher Ed. As we approach our 36th month of data, and as the Excel Spreadsheet extends further than we thought possible, we see new trends each and every month to share with clients. It’s encouraging to see so many clients taking the data and the research to heart and radically changing the way they approach their Facebook presence so that they can meet their goals. We hope you enjoy browsing this data and learning how to be more effective in what you do. And please feel free to share! The more the merrier. If you’re ready to Ignite the Fuego, contact us today. The 10 most engaging Pages in the nation have averaged 14.8 updates for the last 2 years. Growth is not success. Many Pages are gathering fans and doing nothing with them, averaging minimal engagement each month. Every single segment averaged more content per month vs. 2010. The larger the school, the more content. 60.7% of Pages that increased engagement in 2011 decreased their average # of posts. 81.2% of Pages that decreased engagement in 2011 increased their average # of posts. Start saying NO. Across the over 100 higher ed Facebook Pages I’m an administrator for, an average of 63% of fans live more than 50 miles from campus. Posting about the ice cream social tonight makes you instantly irrelevant to that audience. Quality over Quantity. Similar to above. Everyone knows it, no one wants to do it. Sorry, but your page content isn’t THAT interesting. Cut back. Do better. Post 1 photo, not 150. Pick one good photo and write your update along with it. These always do better than posting an entire photo album. Let the update be the news. Look at your personal news feed, now look at your Page content. Bulky and link-infested, huh? Talk like your audience talks, short sweet and to the point with no external links. Let the update be the news. Live and Die by the Likebait. The increasing trend of “Give us a Like”, “Like this to…”, ” How about a Like for…” does not work long term, our research shows. Treat it like your fine china, and only break it out on certain occasions. Did you make the cut in 2011? What are you going to do better in 2012? Numbers don’t lie! 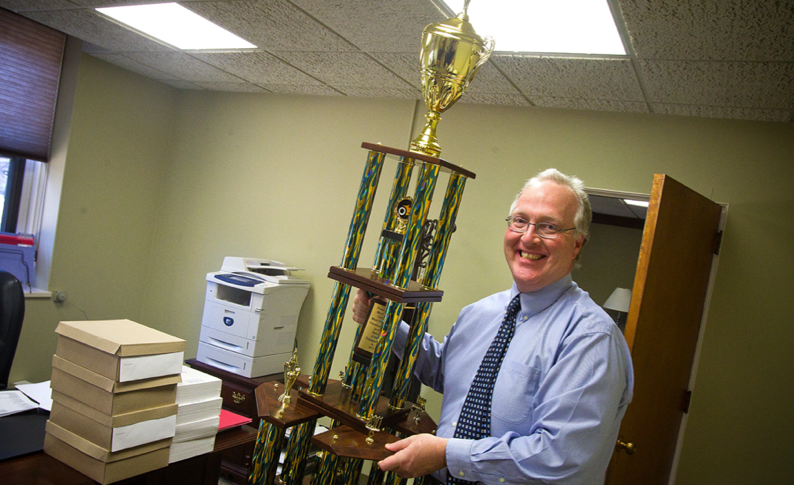 Congrats to Merrimack College and President Hopey on their #1 rank for 2011! We presented them with the Fuego’s Finest Trophy last week. Best of luck to everyone in 2012! Thanks again, BlueFuego, for all the magic. Great tips! This matches a lot of what we see in our own research and with the schools we work with. You guys are rockstars! Thanks for the expertise! Would be great to see an analysis of Canadian Higher Ed FB pages! © 2009-18 BlueFuego. All rights reserved.